Amplify is one section among many of the overall Columbia Compass: Envision 2036 plan, and your voice is vital to all parts of comprehensive planning. The City of Columbia is continuing to conduct research on the community’s population, natural resources, land use, transportation, housing, community facilities, cultural resources and economy. An initial Compass survey, conducted in Fall 2018, helped city staff to define some of the Compass plan’s vision. Please take the time to take the second part of their survey to provide feedback on some of the possible strategies to address the city’s various challenges. This 37-question survey should take approximately 10 minutes to complete, and all questions are optional. The planning process will result in a vision and document which can help guide City Council as they Envision 2036 – when Columbia will celebrate its 250th year, or semiquincentennial. Elements of the plan research and analysis will include Columbia’s population, natural resources, land use, transportation, housing, community facilities, cultural resources, and economic development. Amplify is a partnership between One Columbia and the City of Columbia to develop the cultural resources element of the comprehensive plan. One Columbia director Lee Snelgrove sat down with the SC State Library’s Curtis Rogers to chat about the organization and the work of Amplify for the LibraryVoicesSC podcast. Signal to Noise: Amplify Columbia Wants to Create a Cultural Plan for the City. What Does That Mean? Back in January, at the public unveiling of Amplify Columbia, the effort to create a unified cultural plan spearheaded by the city and the city-backed arts nonprofit One Columbia for Arts and History, Columbia Mayor Steve Benjamin opened his address by reading a poem: William Ernest Henley’s “Invictus.” Translated from Latin, invictus means “unconquered,” and its most famous couplet — “I am the master of my fate: / I am the captain of my soul” — is a well-worn mantra for communicating importance and purpose. One Columbia for Arts & History, which advises, amplifies and advocates for the unified arts and history community, announces that it will host more meetings with cultural and community organizations and members of the public this summer. The public is invited to attend the next Town Hall meeting to hear some of the early findings from interviews, online surveys and previous group and Town Hall meetings. Amplify’s Town Hall meetings offer an opportunity to collect extensive input from the community, so that the steering committee can consider this feedback when reporting on findings and developing recommendations that advance the arts and cultural sector in the region. Town Hall attendees will be provided an update on the process and participate in the substantive discussions that will help increase public participation in the arts. Amplify has scheduled three more Town Hall meetings open to the public that will focus on arts learning and arts education for members of the public interested in sharing ideas about how the arts impact long term growth and success for our region. June 26, 6:30 – 8 p.m., Town Hall discussion open to the general public at Ben Arnold Center (1100 South Holly Street). The Amplify steering committee invites public participation and responses to help in develop a robust cultural plan for Columbia and the region. The City of Columbia’s office of Planning and Development Services is initiating development of a Comprehensive Plan for all aspects of Columbia’s future. Amplify will serve as the arts and culture piece of the plan. 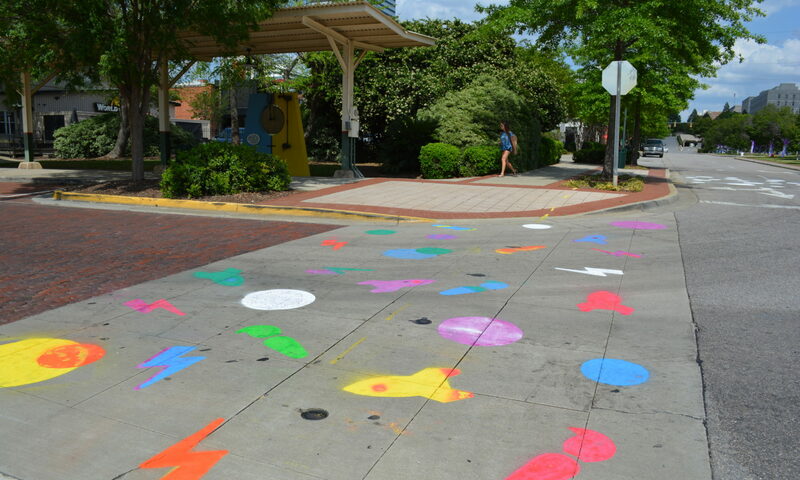 Members of the public can also provide input on arts and cultural planning in Columbia through Amplify’s online survey. "At a community flea market for the community to send around items of love to others that was no longer needed"
"Going to Richland Library NE 1-2 times a week and the security officer having a bag for my books every time." "Being told to build it myself, while complaining about lack of art in Columbia." "Grandma Jessie, book peddler. First person to introduce me to The Color Purple, first trashy novel, first book of poetry." "Listening to clarinet solo in Gershwin’s Rhapsody in Blue at SC Philharmonic with my son, a teenage clarinetist." "Having the idea instilled in me that I should gain experience through volunteering before I was old enough to be paid"
"The first time I made rice and peas worthy of the Jamaican Thanksgiving dinner table." "Mom doing scribble drawings with me in church and teaching me to paint with water on the sidewalk." "Getting paid to create props for the Columbia Lyric Opera"
"Childhood late august evenings at camp Welfare AME Camp Meeting. The perfect mix of sacred, secular, history, and visual performance." "Traveling with my mom and sister to Columbia to visit the State Museum in 1989." "Learning beadwork from Aunt Lucy Lane." "Passing out water bottles at the Rosewood Crawdaddy Dash for the runners and getting a free ice cream"
"Started going to summer camp when I was 8. That camp never stopped me from being comfortable being weird." "Football and chili on Saturdays growing up." "Growing up as a kid eating at the Elite Epicurean on Main Street." "Late, late night parties with our community of friends all trying together to figure out the world - food, clothes, music and dancing." "Living in the suburbs of NY (Westchester) but regular trips to Manhattan to opera, museums, ballet and my mom took advantage and sought out free and inexpensive opportunities to be exposed to all types of arts." "Dancing! - to polka records w/ my grandparents - in clubs w/ my friends - in the living room w/ my kids - clogging lessons - ballet performances - at family events with my dad - lots of dancing." Continue reading "Have Lunch with a Planner!" Read the poem by City of Columbia Poet Laureate Ed Madden, written for the launch of Amplify.